At a time when leprosy patients are showing resistance to conventional multi-drug therapy (MDT), India has decided to test first-of-its-kind leprosy vaccine that has been developed at home. In the pilot phase, the vaccine will be launched in five districts of Bihar and Gujarat. This will be the first mass vaccination programme of its kind in the world. What’s so significant about the vaccine? Founder-director of National Institute of Immunology (NII), GP Talwar, has developed Mycobacterium indicus pranii (MIP), the first indigenous vaccine, exclusively for leprosy. All this while, we have been using multi-purpose drugs designed to prevent several diseases. Talwar has developed an ‘immunotherapeutic’ vaccine for leprosy, which means it harnesses the ability of body’s immune system to combat infection or disease. It enhances the immune system’s resistance to the disease. Such a vaccine has fewer side effects than existing drugs, including less potential for creating resistance in microbial disease. MIP has received approval from the Drug Controller General of India (DCGI) and the US-FDA. This vaccine will be administered as a preventive measure to those staying in close contact with leprosy patients. “Trials have shown that the vaccine could bring down the number of cases by 60 per cent in just three years. It also expedites cure rate if given to people with skin lesions,” said Soumya Swaminathan, director general of the Indian Council of Medical Research. If the vaccine shows good results, the programme will be extended to other high-prevalence districts in India. Jerry Joshua, who heads the healthcare programme at The Leprosy Mission Trust India, believes in exercising caution before being too euphoric about the new vaccine. Allaying concerns over patients becoming resistant to multi-drug therapy, he says, "Resistance to MDT has been proven yet. Although few cases were reported, there are alternative drug regimes that can be used in such cases." Talking to Down To Earth about the new development, Joshua says, "Like any other vaccine, it has to go through several trials, ethical clearance and several other hurdles before it can gain acceptance and start getting prescribed." The disease, caused by Mycobacterium leprae, affects around 127,000 people in India every year. About 59 per cent of the world’s leprosy patients live in India. According to a Down To Earth report, since 2014, India had joined countries such as Brazil and China, where leprosy can no longer be treated by the conventional multi-drug therapy (MDT). According to the Union Health Minister J P Nadda, the government has already begun a mass screening programme with more than 7.5 crore people screened in 50 high prevalence districts in the first phase. 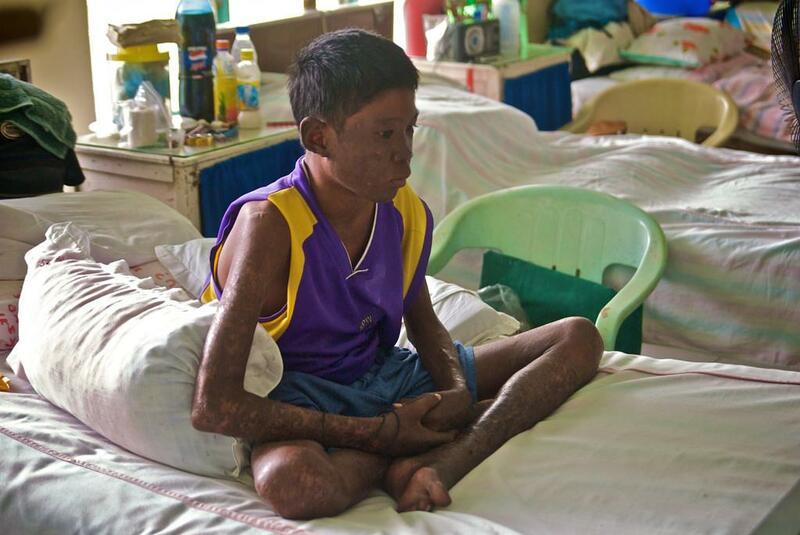 As many as 65,000 suspected cases were detected and 5,000 were confirmed for leprosy. The second phase will be launched in September, which will cover 163 districts across 20 states, including Erode district in Tamil Nadu, one of the hot spots for leprosy in the country. What should be the focus areas? Bihar, Maharashtra, Odisha, Uttar Pradesh and West Bengal are among the states with high prevalence of leprosy. However, Jharkhand health directorate has been facing a unique challenge as it anticipates a high number of patients evading treatment. There are ‘hidden' contaminations in as many as 11 tribal-dominated districts as they don’t get reported because of illiteracy, stigma and lack of awareness. Leprosy prevalence rate in children is also quite high in Jharkhand with 444 children getting affected in 2014-15.